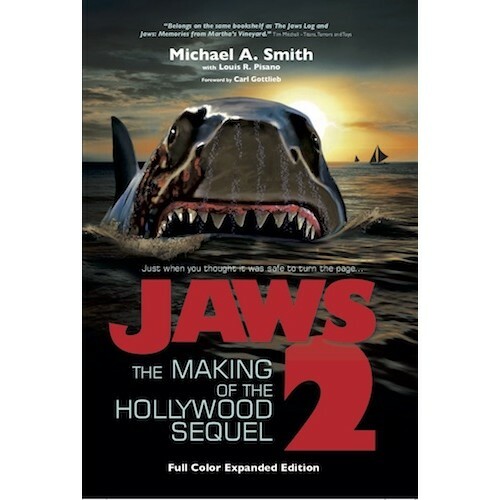 “Jaws 2: The Making of the Hollywood Sequel,” a book written by Media Mikes co-founder Michael A. Smith, with Louis R. Pisano, has been nominated in the category BOOK OF THE YEAR for the 17th Annual Rondo Hatton Classic Horror Awards. The Rondo Awards have recognized, since 2002, the very best in film, television and publishing in the field of Classic Horror. “Jaws 2: The Making of the Hollywood Sequel,” was initially published in 2015. However, Smith spent two years after its publication finding more behind the scenes photos and tracking down more members of the crew to tell their story about working on the Hollywood Sequel that launched the constant stream of films we have today. The nominated book is a limited (to 1000 copies) signed and numbered edition, with the majority of the photos and images posted in color. Tegan West, Sarah Holcomb, Martha Swatek and Gary Springer on set. West and Holcomb would later be replaced in the cast. If you would like to vote for the book, send an email HERE and tell them you’d like to vote for the JAWS 2 book for Book of the Year. If you would like to order a copy, please click HERE. James Gandolfini, whose performance as mob boss Tony Soprano in HBO’s seminal series “The Sopranos” earned him multiple Emmy Awards, has passed away in Rome after an apparent heart attack. He was 51. He was seen on screen earlier this year in the Steve Carell comedy “The Incredible Burt Wonderstone” and, according to the Internet Movie Data Base, has two more film projects being released posthumously. The 2012 Grammys were held on Sunday, February 12th 2012 at the Staple center in Los Angeles California. Though the night may have been overshadowed by the death of Whitney Houston the show continued on. Performances by Bruce Springsteen, the reformed Beach Boys, The Foo Fighters, and a touching rendition of Whitney Houston’s “I Will Always Love You” performed by Jennifer Hudson were definite highlights of the night. A heavily religious themed performance by Niky Minaj left people either scratching their heads or highly disturbed. LL Cool J did an ok job as the host for the event however his segues were kept very brief. Chris Brown made several appearances over the course of the evening as he has seemed to have earned his way back into the good graces of the music community. The big winners of the night were Adele who brought home 5 Grammy’s including one for Record of the Year and Album of the Year. The Foo Fighters also took home 5 Grammy’s which included Best Rock performance and Best Rock Album. Other noted winners were Bon Iver who beat out the likes of Skrillex and The Band Perry for Best new Artist while Lady Antebellum took home the award for Best Country Album beating out the likes of Jason Aldean and country staple George Strait. As with any awards show there will be high points and low points. Sadly I think the 2012 Grammy’s had more lows than highs but to end on a positive there are some really big releases slated for this year that will hopefully catch the attention of the right people. Best Comedy Album- “Hilarious” – Louis C.K. Producer Of The Year, Classical- Judith Sherman – “Adams: Son Of Chamber Symphony; String Quartet” (John Adams, St. Lawrence String Quartet & International Contemporary Ensemble); “Capricho Latino” (Rachel Barton Pine); “85th Birthday Celebration” (Claude Frank); “Insects & Paper Airplanes – Chamber Music Of Lawrence Dillon” (Daedalus Quartet & Benjamin Hochman); “Midnight Frolic – The Broadway Theater Music Of Louis A. LOS ANGELES (September 8, 2011) – Renowned actress, producer and humanitarian Mary Tyler Moore will receive Screen Actors Guild (SAG)’s most prestigious accolade – the Screen Actors Guild Life Achievement Award. Moore created a new paradigm for female leads in television, won top honors for her courageous performances in film, television and on stage, produced some of the most lauded television programs of all time, and for thirty years, has served as a tireless advocate giving hope to all those afflicted with Type 1 diabetes. 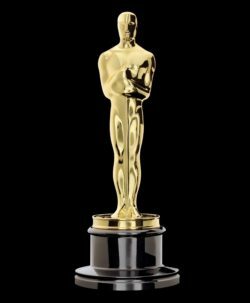 The 18th Annual Screen Actors Guild Awards will be produced by Jeff Margolis Productions in association with Screen Actors Guild Awards®, LLC. Jeff Margolis is the executive producer and director. Kathy Connell is the producer. JoBeth Williams, Daryl Anderson, Scott Bakula, Shelley Fabares and Paul Napier are producers for SAG. Gloria Fujita O’Brien and Mick McCullough are supervising producers. Benn Fleishman is executive in charge of production. Rosalind Jarrett is the Executive in Charge of Publicity. Jon Brockett is the Awards Coordinating Producer. Screen Actors Guild is the nation’s largest labor union representing working actors. Established in 1933, SAG has a rich history in the American labor movement, from standing up to studios to break long-term engagement contracts in the 1940s to fighting for artists’ rights amid the digital revolution sweeping the entertainment industry in the 21st century. With 20 branches nationwide, SAG represents more than 125,000 actors who work in film and digital theatrical motion pictures and television programs, commercials, video games, corporate/educational, Internet and all new media formats. The Guild exists to enhance actors’ working conditions, compensation and benefits and to be a powerful, unified voice on behalf of artists’ rights. Headquartered in Los Angeles, SAG is a proud affiliate of the AFL-CIO. TNT, one of cable’s top-rated networks, is television’s destination for drama. Seen in 100.5 million households, the network is home to such original series as The Closer, starring Emmy® winner Kyra Sedgwick; Rizzoli & Isles, starring Angie Harmon and Sasha Alexander; Falling Skies, starring Noah Wyle; Franklin & Bash, with Mark-Paul Gosselaar and Breckin Meyer; Leverage, starring Timothy Hutton; Southland, from Emmy-winning producer John Wells; and Memphis Beat, starring Jason Lee and Alfre Woodard, as well as the upcoming series Major Crimes, Dallas and Perception. TNT also presents compelling original movies, including a slate of thrillers set to premiere this fall in The TNT Mystery Movie Night showcase. TNT is the cable home to powerful dramas like The Mentalist, Bones, Supernatural, Las Vegas, Law & Order, CSI: NY, Cold Case and, starting next year, Castle; primetime specials, such as the Screen Actors Guild Awards®; blockbuster movies; and championship sports coverage, including NASCAR, the NBA and the NCAA Division I Men’s Basketball Championship. TNT is available in high-definition. TBS, a division of Turner Broadcasting System, Inc., is television’s top-rated comedy network and is available in 100.8 million households. It serves as home to such original comedy series as “Are We There Yet?” Tyler Perry’s “House of Payne,” Tyler Perry’s “Meet the Browns” and the upcoming Tyler Perry’s “For Better or Worse; the Emmy®-nominated late-night series “CONAN,” starring Conan O’Brien; hot contemporary comedies like “Family Guy,” “The Office,” and “The Big Bang Theory,” which begins later this year; special events, including star-studded comedy festivals in Chicago; blockbuster movies; hosted movie showcases and championship sports.